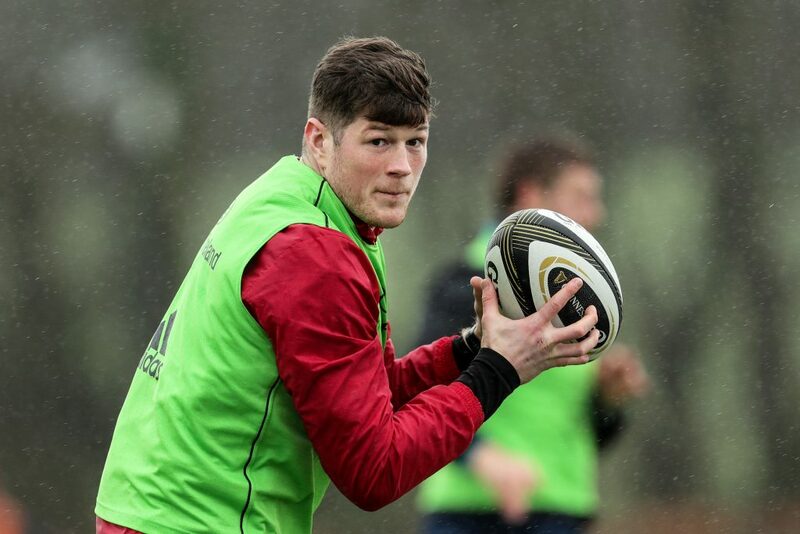 Jack O’Donoghue makes his first start for Munster in ten months tomorrow night in Thomond Park against Zebre. Photo: Inpho. Waterford’s Jack O’Donoghue will start his first match for Munster Rugby in ten months tomorrow when the reds take on Zebre of Italy in the Guinness PRO14 clash in Thomond Park at 7.45pm. The Woodstown native suffered a serious knee injury in the Pro14 semi-final defeat to Leinster at the RDS last May and has been making his way back into the team as a substitute over the past six weeks or so and now is the time to make his return to the starting lineup as he dons the number six shirt. There are seven changes to the side that faced Scarlets three weeks ago, with CJ Stander captaining the side on his return from international duty. Mike Haley starts at full-back with Darren Sweetnam and Wootton on either flank. Rory Scannell and Dan Goggin continue their centre partnership with Alby Mathewson and Hanrahan in the half-backs. Jeremy Loughman, Rhys Marshall and Archer pack down in the front row. Fineen Wycherley moves into the second row and is partnered by Darren O’Shea. It’s all change in the back row as O’Donoghue, Cloete and Stander complete the side. MUNSTER: Mike Haley; Darren Sweetnam, Dan Goggin, Rory Scannell, Alex Wootton; JJ Hanrahan, Alby Mathewson; Jeremy Loughman, Rhys Marshall, Stephen Archer; Fineen Wycherley, Darren O’Shea; Jack O’Donoghue, Chris Cloete, CJ Stander (C).